This month's question: How do you know your story is ready? This is a great question for me just now, since I'm in the final stages of editing, revising, re-editing, and cover design for my next book, the 3rd Ninja Librarian book (see below...). Whether you are an author-publisher or have gone the traditional route, this is a question you have to address somewhere along the line. Whether the question is "is it ready to publish?" or "is it ready to send to agents?" you get to edit and revise and second-guess yourself more or less endlessly (having an editor and a contract might be helpful here, since someone will be telling you to finish it already). So how do you know when it's done? I have no idea how you know when your book is done. For me, it's a gradual process and a fuzzy decision. I gather my feedback, do everything I can, get a little more feedback...and when I reach the point that I really don't think I can make it any better, I give it to my proof-reader, which puts an absolute end to my chances to make changes. But even then...when I re-read my first book, I want to make more changes. I'm never really satisfied, and so in some ways, it's a totally arbitrary line. I remember when I wrote my dissertation, and my director sent it back to me again and again until I drew a line and told her "this is as good as I can/am willing to make it. Take it or leave it" (there may have been some profanity involved there, at least in my mind). You never achieve perfection, but you want to come as close as you can, and then stop. I think, with the endless possibilities for revision offered by ebooks and print-on-demand publishing, a more interesting question might be: when do you know you should unpublish and revise again? I haven't done that--yet--with any of my books, though I did have to re-proof one book after I released it, when early readers found more typos than I was comfortable with. (That was my fault--I didn't use my usual proof-reader, shame on me!). 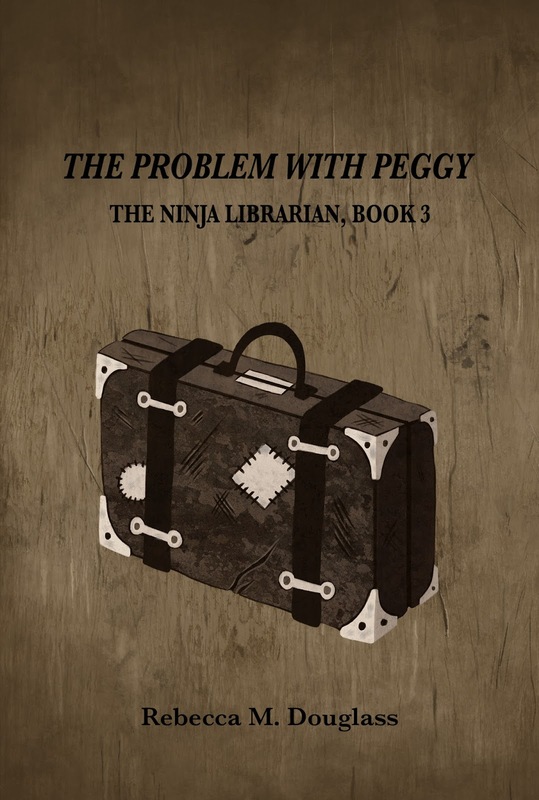 But I have considered pulling The Ninja Librarian--not for any big changes, but just to tinker some more with the language, smooth out some bits, and remove my efforts to show the characters' speech through idiosyncratic spelling. What about you? Have you considered--or done--a revision on an already-published book? I realize this is only an option if you are your own publisher, but even if you aren't--have you wished you could? The Problem of Peggy is scheduled for release Nov. 28. Watch for advance sales information! You've absolutely nailed it: there is no definite point at which a manuscript is fully-baked, frosted and sprinkled. I thought my current WIP was ready and sent it out to agents. 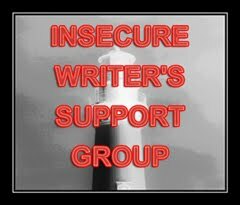 Fortunately, a few agents gave specific feedback that directed my next round of edits, and the process continues. I've arbitrarily decided that the current revision is the last one. When I'm finished, out it goes to agents, to fly or flop. Yes, that was what I was getting at: finding the point where you decree that it's done, since there's no definitive measure of that. I think that's the trick - driving ourselves to get as close to perfection, to perfect as we can, but then knowing when to stop, to let go. I honestly think the hard part is the "knowing when to stop" bit. I rely on a lot of people to tell me what's needed, but I don't have anyone following along closely enough to tell me when I've done enough! Actually, yes! My publisher offered a couple of us the opportunity to go back and edit a book. My fourth had just come out and going back to edit my first was an eye-opening experience. Amazing how much we grow as writers. Absolutely! Which is, of course, why I itch to revise the first book. (Just not as much as I itch to write the next one, which is admittedly a lot more fun!). You know, I actually never considered the possibility of going back into a self-published book after a year or two and take the improvement one has made in writing to that book. It's genius (and really, I SHOULD have, but well. There's that.) 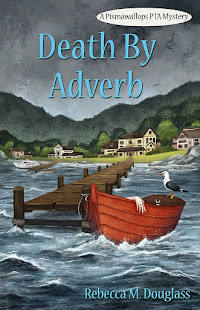 While I see a lot of potential for eternal fussing, if you can get a grip on yourself, overhaul the books like every few years when you feel your writing has made a leap (and maybe, because that works well with readers as I have read) change the cover... you might even be able to breath a second live into older works. I like it. As for the perfectionalism... I keep going back to something Elizabeth Gilbert said in a podcast (can't remember which) and that's: Done is better than good. I like to tweak that to done is better than perfect, but that's basically it. If you don't get it out there, it more or less doesn't exist. 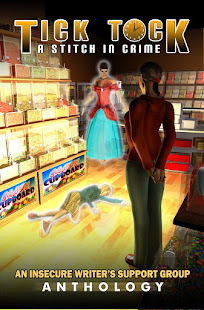 The one big change I have made to a published book (the first, again) was to get a pro and make a new cover. Huge improvement. Who was it who said, "The perfect is the enemy of the good"? That's pretty much how I feel about needing to draw a line on revisions,and ends up pretty much meaning what you said--done is better than perfect. (That's probably better than my other saying--tongue in cheek--that anything worth doing is worth doing half-assed). I cannot tell a lie: I edit on the fly when I'm reading aloud. 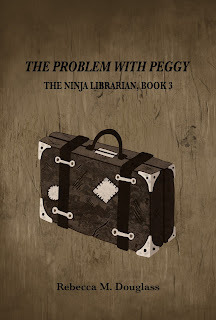 I use the first chapter of the Ninja Librarian a lot, and that's the one I'm really going to have to fix. At least I'll know just what needs doing! I know I commented on a more recent post, but I wanted to go back and comment on the actual IWSG post. Gratz on the upcoming book release. I didn't mention this on my blog because I talk about it so often, but I re-edit over and over again. I have finally come to the conclusion I need to finally "end it". That is, the rewriting and editing. The one YA book I have just finished editing is the first in a (currently) 8-part series. It's a series I've had on the back-burner for over 25 years. How sad is that? I have finally decided to go over each adventure one last time and end it there. Then move on to the next step. Once again, thanks for stopping over. Wishing you all the continued support and success you need.